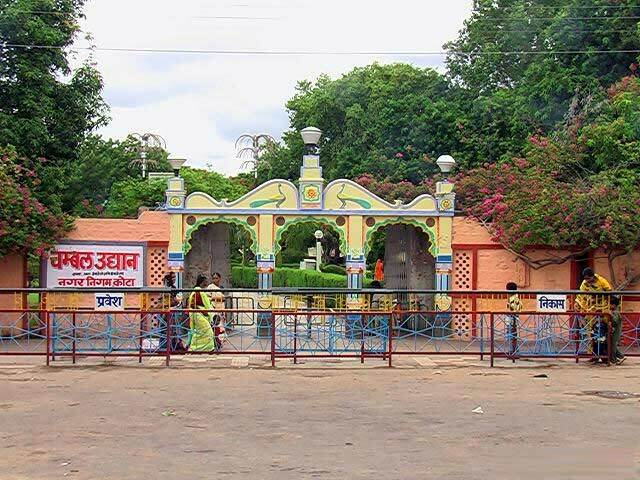 The Chambal Garden is a famous picnic spot in Kota city. Due to its scenic location and lush green surroundings, visitors attracts toward it. Located at 2 km from Kota fort on the banks of the Chambal River, Chambal garden spreads over a large area. In the middle of te garden, there is a pond which houses some crocodiles. Pond also have a suspension bridge and boating can be done in the pond as well with the help from boat house. By Road: Chambal Garden is located next to the Amar niwas on the banks of Chambal river. in Kota town. One can easily reach here by local bus or local taxi, rickshaw. By Rail: Chambal Garden is well connected through nearest Kota Railway station ( 9 km) to major cities railway stations like Delhi, Agra, Mumbai, Chennai, Kota, Pali, Jaipur, Ahmedabad. By Air: Chambal Garden can be reach through nearest Jaipur Airport (250 Km) which is well connected with regular domestic flights to Delhi, Mumbai.